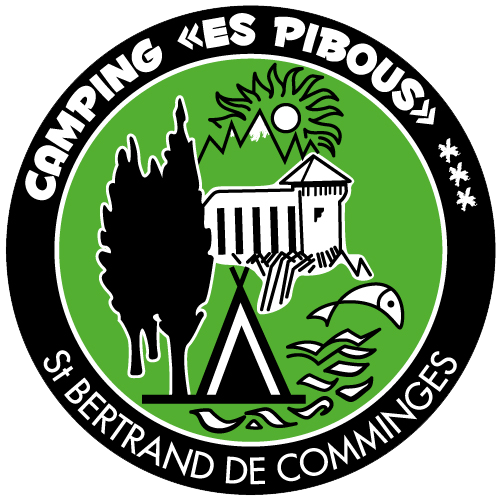 Book your accommodation in Saint-Bertrand-de-Comminges with Camping Es Pibous*** and enjoy all the comfort you need. We are happy to welcome you to our 3-star campsite! Thanks to our 80 green spaces of 100 m² each, we can welcome holidaymakers visiting the Pyrenees. Discover the satisfaction of staying in a peaceful and quiet setting, while enjoying the fresh air of the countryside and the surrounding mountains. We also offer chalets and bungalows rental. A service area for camper vans is also at your disposal. Enjoy fresh air and calm at our campsite. Whether you come as a couple, with family or friends, embark on an adventure in the heart of nature! We guarantee you won't be bored. Have fun thanks to our outdoor swimming pool and paddling pool. Young and old alike can enjoy themselves in our play area and boulodrome. Our clients' comfort being one of our priorities, we have especially designed a baby bathroom and a shower room for the disabled. Do not hesitate to request further information about our accommodation offers. We will be happy to host you during your stay in the area. Make sure to visit us during your stay in Haute-Garonne (Montréjeau)!